News and property market updates on the Australian real estate market. 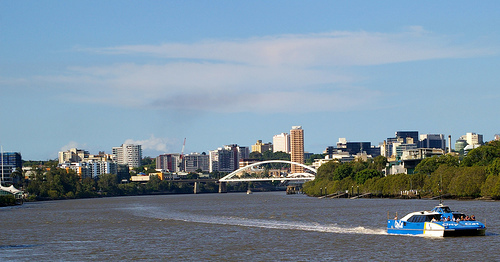 Information and statistical data on the property market in Australia. View our reports and research to help those looking at buying property in Australia. In addition we also feature an extensive property search with thousands of properties and houses for sale in Australia. Figures have been released showing that land prices in Australia are on the rise. The increases are largely concentrated in the country’s capital cities, and there was a sharp difference between the increases in capitals and in the country as a whole. The news comes as the property market in Australia attracts attention for price growth that some commentators say signifies a bubble. At the same time, auction sales are also rising in Australia. According to RP Data spokesperson Robert Larocca, scheduled sales by auction rose by 12% in September 2013, with capital cities seeing most of the action. Australian land prices have risen sharply, with an average 6% rise across capital cities to a AU$247, 000 median lot price, but in the regions the increase has been negligible, with growth of only 0.6% to a median AU$156, 000 price. RP Data’s national research director Tim Lawless commented that price growth is being driven by factors including a lack of vacant residential land and an overall reduction in land lot size. ‘The follow-on effect for the housing market has become a key contributor to the rising cost of housing – this is particularly noticeable in capital city markets,’ Mr. lawless said. Across Australia, that process may have already begun. Across the country prices have been flat for the last three years, a blanket view which masks sharp increases in Melbourne and Sydney and drops in prices in the regions. What’s even more disconcerting is that in the background, China’s economy is grinding slowly to a halt. As that happens, demand for Australia’s key industry, mining, falls too, undermining the real economy even as a wildly out-of-balance housing market struggles to stay on the tightrope. 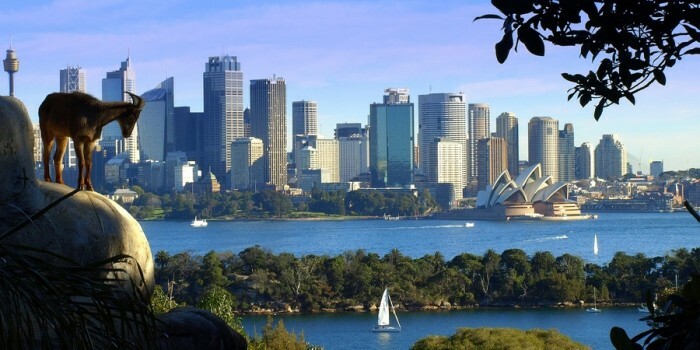 Even in Sydney, where prices have been rising, regulators like the Reserve Bank and the Australian Prudential Regulatory Authority have been letting investors know that ‘they shouldn’t expect house prices to continue to rise,’ according to financial journalist Jonathan Shapiro. The form that the correction is likely to take is that owner-occupiers will reduce their demand, and that when that happens, investors, many of whom are already jittery, will start to sell. Australia has some of the highest house prices in the world, and some of the highest relative to income. They’re rising, too: while even booming Germany’s house prices are still undervalued, Australian house prices are about 30% above historical norms and 20% up in terms of price-to-income ratio over their long-term norms. Comparisons with other places put that in perspective. House prices in Sydney are about 50% higher than in notoriously expensive New York, where the ‘micro-home’ trend began out of necessity, a consequence of property prices rising on the back of the largest pile of accumulated wealth anywhere in the world. The median price in Mildura, a small country town sitting on the border between New South Wales and Victoria, is about the same as Chicago – America’s third largest city. For comparison, that’s as if prices in Whitstable were higher than those in London. And wages are rising in Australia, but it’s not incomes powering this boom: wages in Australia rose by about 2.6% from 2013-2014, while house prices jumped over 10% in the same period, with Sydney seeing a rise of 15.4% to the end of the financial year and Melbourne seeing 9.4%. If incomes aren’t rising to keep pace with house price rises, the extra money to inflate the housing market must be coming from somewhere, right? Partly it’s coming from domestic demand rising and a lag in supply. Wages aren’t rising as fast as property prices are but the Australian economy is healthy enough that many natives want to buy a house. But it’s the high, and rising, proportion of overseas investors that are geting all the attention. In the first nine months of the current financial year, overseas purchasers put AU$24.9 billion into the Australian property market – including AU$5.5 billion into established homes, and represented 13% of the total value of property sold. Sales to foreigners have almost doubled from the previous financial year. And while about 78% of sales to foreigners were of new property, that AU$5.5bn of established home purchases rankles in a country where foreign money is typically directed to new builds, where it can stimulate the real economy by providing jobs instead of merely inflating the housing market. The majority of overseas buyers are Asians; a Credit Suisse report indicated that about 18% of new homes in Sydney and 14% in Melbourne are being bought by Chinese buyers. The report also found Chinnese more and more in the role of ‘marginal purchasers’ – ie, those responsible for the price rises by being willing to pay the most. Australia already has laws dealing with purchases by individuals overseas. Offshore buyers must purchase only new properties and penalties exist to enforce this policy. Meanwhile, if you have temporary residence and you’re living in Australia, you can buy property in Australia – but you’ll need approval from the Foreign Investment Review Board and must sell when you leave the country. What this attitudes probably means for buyers of holiday homes is unclear, but expatriates are unlikely to be strongly affected by more stringent enforcement or new laws aimed at preventing absentee landlords keeping homes empty for tax purposes. April saw the third consecutive month of falling residential building approvals in Australia, according to the latest round of research from the Australian Bureau of Statistics. Their data shows that totals, seasonally adjusted, fell by 5.6%. Detached house sales were essentially flat in the month, with a barely-noticeable 0.1% fall. Approvals for other types opt dwelling fell by 13.5% month-on-month and were down 17% from a year earlier. However, it’s important to note that other indicators were substantially higher than this time last year – detached house sales are still 16.1% higher than a year ago, for instance, and sales as a whole may be lower, but they’re falling from their January maximum when they were higher than they have been for a decade. Looked at by region, seasonally adjusted building approvals actually increased in Victoria by 14.8%, in South Australia by 12.2%, and in Western Australia by 4.4%. By contrast New South Wales saw a fall of 22.8%, Queensland prices fell 20.2% and Tasmania saw a 10.4% decline. Australia’s Housing Industry Association (HIA) insists there’s no reason to worry, though. ‘The monthly volume of building approvals in April 2014, continued to recede from the decade high achieved back in January, although with close to 15, 000 dwellings approved in the month it is still a very positive result,’ said HIA economist Gordon Murray. ‘The pace of building approvals late in 2013 and early 2014 moved well ahead of the pace of home building commencements. So while we have seen building approval activity moderate over recent months, the pipeline of residential building work already approved should sustain a historically high level of activity throughout the middle part of 2014,’ Mr. Murray went on to say. The evidence is there to back up Mr. Murray’s claims – that the Australian housing market may be correcting, but that’s not a euphemism for ‘crumbling.’ Lending for new home building continues high, and actually rose in April to reach the highest level since 2010, bearing out Mr. Murray’s expectations that the backlog of approved homes still in the pipeline should assure adequate supply. It’s also beginning to look as if many habitual renters in Australia might be in a position to buy. Vacancy rates in rented accommodation are lower than usual when seasonally adjusted, according to data from SQM research, meaning that while more homes should come on the market in 2014, 2015 and 2016 this won’t necessarily help landlords. Instead many people will make the switch to purchasing property. What will happen to the Australian property market as residents head to the cities – from Australia and overseas – is hard to predict. But a slow-down in the homebuilding rate isn’t the first crack in Australia’s new walls. It;’s the sign of a healthy market adjusting. 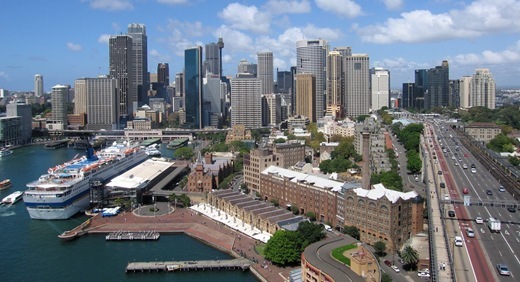 Residential building activity in Australia has shown a sharp uptick in the first quarter of 2014, and preliminary data from the Australian Bureau of Statistics (ABS) showing strong growth. Over AUS$13bn of residential building work was completed in the March 2014 quarter, which represents a quarter-on-quarter increase of 6.8% and a year-on-year jump of 8.4%. In detail, the figures show that the value of work done on multi-unit dwellings showed the highest rise, consistent with the indications from housing approvals data. The jump in the value of work done on multi-unit dwellings was the strongest driver of the growth in activity sector wide, accounting for around two thirds of the quarter’s growth, according to Housing Industry Association economist Geodan Murray. The value of work done on new detached homes increased by 4.7% to a level 2.4% higher than a year earlier, while the value of multi-unit work rose by 12.7% to a level 19.6% above the March quarter of 2013. The value of renovations work increased by 0.7% to a level that was 5.8% higher than last year. The trend for home commitments was slightly higher overall – 0.2% up month-on-month to March – than for the owner-occupier group, at 0.1%. Rising faster than both was the investor group, growing at 0.4%. While we might see a market driven by investors and featuring a lot of single-unit sales, especially detached homes, as being a luxury market like Paris or London, the picture in Australia is of a growth at all levels, with important implications for the Australian economy as a whole. The picture is of a seasonal alteration in market growth, with some additional downward pressure from the budget, but on a sector that’s basically buoyant and likely to expand, built on a sustainable economic base. Australia has seen a cool-down in the property markets of its major cities, according to the latest RP Data Rismark home value index. 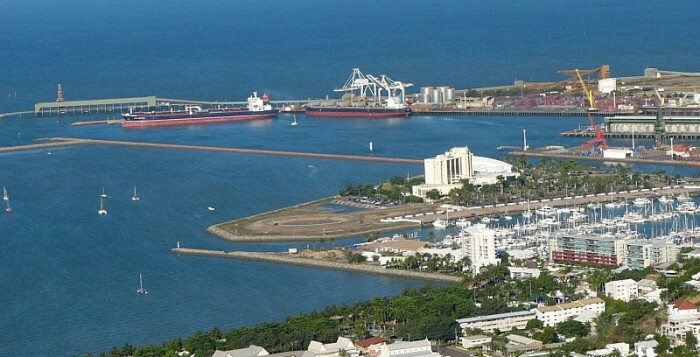 The market hasn’t slumped, but across the capitals it has stood still, with the combined capitals index showing no change in February and only Sydney, Hobart and Darwin registering growth. The latest news follows eight successive months of growth, over which dwelling prices rose by 10%, and since June of 2012 prices have risen by 13.2%. And it’s a level of growth that has tipped prices over their previous high in October 2010: on average, they’re 4.8% higher now. There’s other data to support that theory. RP Data found that buyer demand remained very strong in February, and the company’s valuation platforms recording a record high in average daily levels of mortgage-related activity. Additionally, auction clearance rates continued strong and the market saw little change in vendor discount levels or in average selling times, both key indicators of the health of pricing levels. Mr. Lawless said it would be a mistake to assume that this is the crest of the wave, pointing out that so far, February is an anomaly. ‘Our view is that housing market conditions will start to wind down later this year as affordability constraints and low rental yields dampen market conditions. Additionally, with a belief that mortgage rates are likely to start tightening later this year, it may help to quell some of the exuberance we have been seeing,’ Mr. Lawless said. Rismark International CEO Ben Skilbeck pointed out that Sydney continued to be the standout performer. 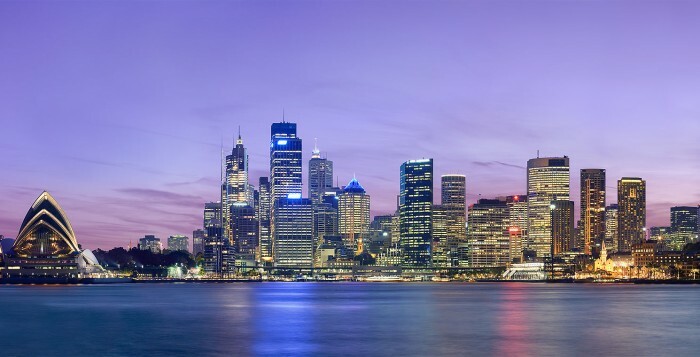 ‘When looking at individual capital cities, the Sydney market has had a surprising run of nine successive month end increases totalling 14.1%. In keeping with what other capital cities have experienced, we would have expected some dips along the growth trajectory over a nine month period,’ Mr. Skilbeck said. February’s results also show that the premium end of the market actually speeded up slightly, while more affordable residential sales slowed, indicating a change in the market that’s more detailed than aggregate figures show. Values in the top quarter of capital city housing markets are actually up by 3.8%, while homes at the more affordable end of the market were flat for the three months to February 2014, mirroring a worldwide trend for premium property to accelerate away ahead of more affordable housing. Mr. Lawless recalls, ‘we saw the same trend in 2009… as well as during the 2007 growth cycle. The trend is likely being compounded by the low number of first home buyers active in the marketplace,’ he went on. First home buyers are a major driver of demand for more affordable accommodation. Wealthy Chinese investors are taking advantage of relaxed Australian foreign investor laws to buy property in Melbourne. Agents in Melbourne’s eastern suburbs have reported that many buyers are part-time residents from China, Hong Kong and other Asian countries like Taiwan. There is also an increase in Asian companies who buy property in Australia to accommodate their staff. In 2008 a new record of 23,000 British migrated to sunnier shores in Australia. They turned their backs on the frosty weather, dreaming of a life under the sun. The life down under attracts expats with a promise of stunning vistas, some of the world’s best beaches, great surf, a lifestyle that is geared toward the outdoors and heaps of fun. Australians are beginning to feel the pinch as cracks begin to appear in their real estate market. In a recent report on Australian news website, thedaily.com.au, real estate agents in Queensland’s Sunshine Coast are gearing themselves for a property price drop by as much as 30% in the next 18 months. The reason for the drop? Well they are numerous reasons that have been largely linked to rising interest rates, soaring petrol prices and the recent stock market crash. 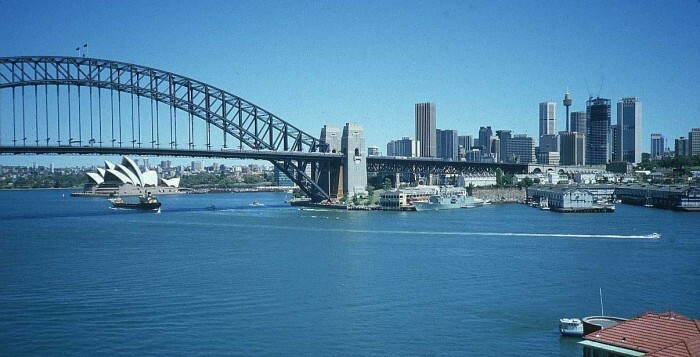 Australia has one of the oldest established REITs frameworks in the world, dating from the early 1970s. In Australia they are known as LPTs (Listed Property Trusts). LPTs come in two forms, firstly, the pure real estate portfolio investments and, secondly, so-called ‘stapled securities’ which would in this instance tie up the direct property investments with investment in a fund manager and/or a property development company. Stapled securities could be seen as an attempt to overcome the country’s relative shortage of potential real estate investments (see below) by diluting the pure real estate LPTs portfolios. The most distinctive feature of Australian LPTs is the investor’s ability to postpone paying tax on part of the income stream from their LPT investment. Typically, the untaxed element of the dividend would be applied to the capital gains tax calculation with the effect of creating a notional (lower) LPT purchase price so that the CGT bill is higher when the investor comes to sell their LPT. It seems that the flexibility in terms of target investments and in paying tax on one’s investment adds up to a more versatile type of investment instrument than the new regimes in Germany and the UK allow for. As in other countries, Australian LPTs are required to distribute to all of their income. In our forthcoming piece on Australian REITs we shall be looking at the key role played by the country’s pension funds in property investment. Unlike UK staff superannuation sector where pensions seem to be on track for death by a thousand cuts, Australia pension funds are riding high on the back of an increase in statutory contribution levels in 2002. The result is that Australia has a lot of investable cash looking for good returns and given the limited size of the country’s real estate market, it is not surprising that a lot of this money is going overseas. The figures are impressive with US$ 7.7bn invested in US property so far this year. This compares to a total of $ 5.5bn invested by Australia in US real estate in the whole of 2006 and gives Australia some 43% of total inward investment into US real estate for 2007 to-date. The reasons that the US is so much in favour are, according to Mark Baillie of Macquarie Bank, a liquid market, good governance and a relatively benign tax regime when it comes to repatriating profits and income.